Our awesome giveaway for June is NaturExplorers from Shining Dawn Books! To enter the giveaway, use the Rafflecopter below! U.S. residents age 18 and older only please. If your students are getting a little antsy, it’s time to head outside with a NaturExplorer’s study! My boys absolutely love these units sold by Shining Dawn Books. If you want to see how we’ve used them, you can read my reviews of Spectacular Spiders, Frogs & Toads, and Incredible Creeks. This is the perfect way to end the school year with a bang instead of in a slump. You can also use these fabulous studies to sneak some school days in throughout the summer. 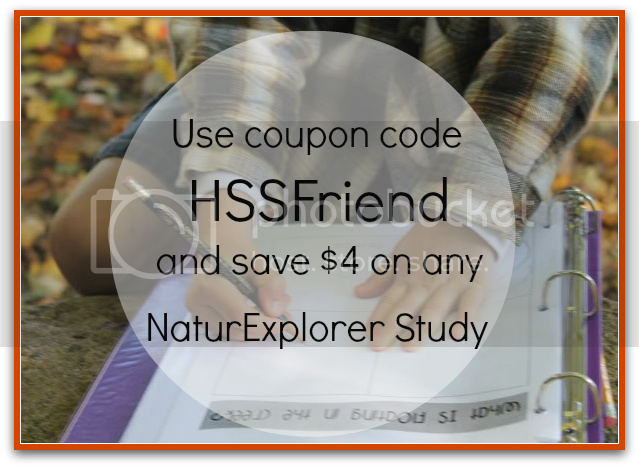 If you’d like to try a NaturExplorer unit, Shining Dawn Books is offering the readers of the HSS blog a coupon code for $4 off any study! You can buy a study for just $4.95! The coupon code you need to use is HSSFriend. We are also giving away an Animal Kingdom bundle pack ($44.75 value)! It will include the following units: Beautiful Birds, Spectacular Spiders, Flying Creatures of the Night, Butterflies Flutter By, and Frogs and Toads. This month our Grand Giveaway sponser is Trailblazer Books by Dave and Neta Jackson. The award-winning TRAILBLAZERS are action-packed historical fiction novels introducing great Christian heroes. Each page-turning book portrays a significant period in a hero or heroine’s life and ministry as seen through the eyes of a young protagonist. A page in the front of each book explains exactly what is fiction and which events and characters are historical, and a “More About” chapter at the end provides a brief biographical overview of the hero’s life. There will be FOUR winners! Each winner receives the CD with all 40 Trailblazer eBooks! It also contains 8 curriculum guides to go along. Plus, everyone is getting a freebie! For those of you who don’t win, you can purchase the Premium Edition CD with all FORTY books ($320 value) for $39.60. It includes PDF, ePub, and MOBI formats for Kindle, Sony, Nook, KOBO, and iPad. This really is a wonderful deal, especially considering some of these wonderful books are now out of print! Click here to view a free sample. To enter the giveaway, visit the Trailblazer Bookshelf and then come back to tell us which book you think your child would read first. This month’s giveaway is sponsored by Notebooking Pages; we’ve teamed up to bring you a variety of treats! First, we have some COUPONS for you! You can use either of these coupons on anything you want in the Notebooking Pages Shop! Second, we have a FREEBIE for all our blog readers! Notebooking Pages is offering you a set of Anatomy Notebooking Pages . . . for free! Click the image below to claim your FREE pages. Finally, we have an amazing giveaway. There will be FOUR winners! Prize #1 ~ Complete History Collection: $56.75 value! 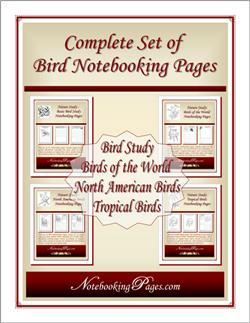 Prize #2 ~ Nature Study Birds Complete Set: $23.80 value! 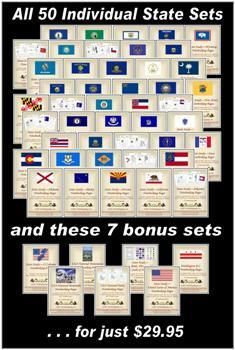 Prize #3 ~ 50 States Complete Set; $29.95 value! GRAND PRIZE ~ Treasury Membership! $99.95 value! 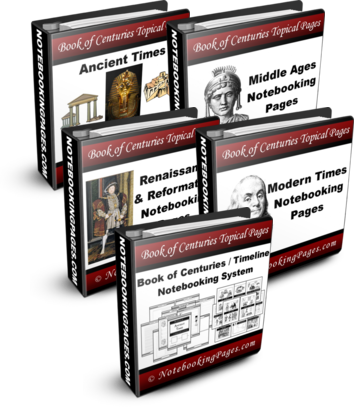 Access to over $700 of printable notebooking products AND to The Notebooking Publisher! Learn more about the Notebooking Publisher by watching the video below. Are you ready to enter the giveaway? Leaving a comment is mandatory. If you don’t leave a comment, your entries won’t be counted. Don’t Miss the 2013 Great Homeschool Conventions! HUNDREDS of encouraging and information packed workshops! AmaZING Group of FEATURED SPEAKERS! GREAT giveaway of a Family Registration to the convention of your choice! This month’s Grand Giveaway is truly GRAND, because EVERYONE gets it! Enjoy this free eBook from our friends at The Old Schoolhouse® Magazine! Have you ever wondered what you could do differently with some of the “stuff” you see around your home? With a spark of low-cost creativity and a few simple instructions –you’ll be amazed! Design fun, easy-to-make learning aids and imaginative organizing tools using household items –and dream of your best homeschool year yet! Why not dream about things we would like to improve in our homeschools? Donna Campos shares many things that she personally wanted in her homeschool, and in her childcare home prior to homeschooling, and with almost 70 full color photos and detailed descriptions she’ll walk you through the process. Creative use of display boards as calendars and for various theatrical presentations. Instructions for cutting display boards for use as personal partitions or activity centers, with activity center ideas included. A makeover for a simple computer desk for use as a schooling cart, along with great “spark” ideas for makeover possibilities in your own home. Timelines using plain old manila file folders that perform double duty when storing history related assignments. Index cards for use as activity cards in initiating creative writing assignments, categorizing, increasing observational skills, or developing verbal discussion ability. Using household organizers for use in homeschooling –things like plastic storage items and plain old large envelopes are innovatively represented. Imagine using a single display board, the kind often used for science fair projects, for multiple uses over time. Begin using it as a story viewing tool –your children will have a blast drawing their own stories on scrolls of paper! Use the same board as a puppet theater, and after years of use when you think it has thoroughly done its job, cover it with felt and you have continued use of the same item as a flannel board! These are the kinds of ideas you’ll find in Dreams and Designs, and you will learn many more. Design incredibly imaginative personal partitions for students of all ages that sit easily on a table or counter, and provide a little self-expression and artistic creativity. Spend hours enjoying cut and paste time as a family by designing a collection of index cards cut from old magazines for use in educational activities that can be used for years to come or given as a gift to a new homeschool family! Imagine your preschoolers using an old photo frame modified with felt so it can be used as a tray for use with tangram or other plastic shapes in silent activities. Give new life to small furniture pieces in ways you never imagined –provide division between work spaces, ready storage for lapbooking and notebooking projects, or mobile storage that is easily moved from office to schoolroom to living room. Never see plastic closet organizers and large manila envelopes lying on your desk in the same way again. Gain a whole new perspective as these items will store puppets and puzzles or become perfect displays for your children’s handiwork when used in new ways! This is one resource you’ll want to use throughout the school year. Transform your “stuff” into something useful for your homeschool –by tomorrow! Merry Christmas from your friends at The Old Schoolhouse® Magazine! P. S. You can also read The Old Schoolhouse® Magazine free each month at www.TOSMagazine.com or through a free mobile app from www.TOSApps.com.